Finally, spring is in the air and the sun has made an appearance or two. It’s at times like these that we Brits – perhaps slightly optimistically – start to think about things such as picnics, barbecues and the summer garden party. And why not? 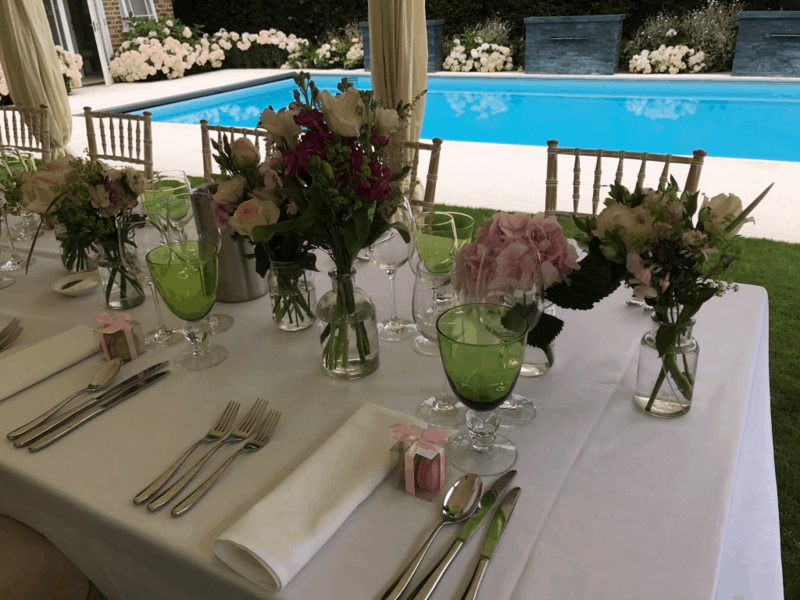 We’ve waited long enough, stoically waded our way through those chilly autumn and winter months, kept a firm eye on a distant, sunny horizon that is now within striking distance – It’s time to dream, and it’s time to plan a garden party! 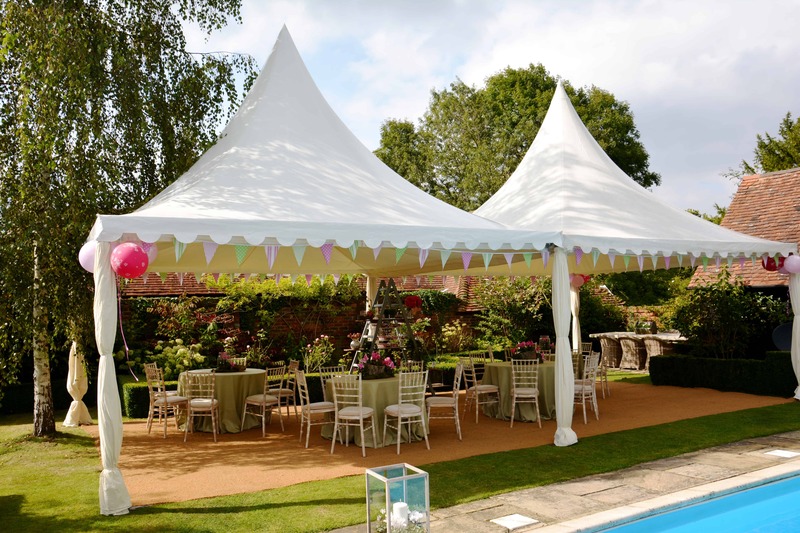 A marquee is a must have for the perfect British garden party – providing shade from the sun and protection from cool breezes and the odd shower or two; these are the British Isles after all! A marquee also creates a fantastic focal point for a garden party, with tables, chairs, a buffet and a bar. 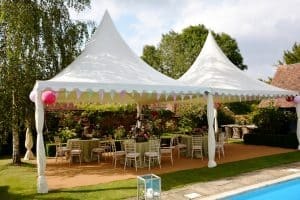 A marquee doesn’t need to be huge or intrusive – while a larger marquee can provide ample dining space and a great evening venue should you wish to party on once the sun has shuffled off to bed – a simple set up such as a row of decorative Chinese Hat Pagoda Marquees can give a beautiful effect without being overbearing. The options with a marquee are almost limitless, and there are solutions available for almost any space. 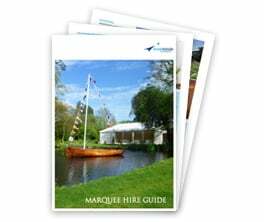 Sloping gardens, terraces, ponds, pools and even lakes can be adapted to house a marquee. 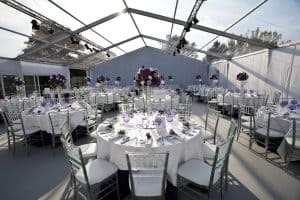 Tennis courts provide a perfect surface for a marquee large enough to house up to 250 guests for a seated dining experience – now that would be some garden party! House extension marquees provide a simple, cost effective yet brilliant compromise between home and garden, extending internal hosting space but inviting the flavours of outdoor living along for the ride. Inside Outside provide marquees that can be opened up to reveal the garden or closed for an evening event. PVC or glass marquee panels and doors are also available, meaning your guests can still enjoy the views but escape early spring breezes and chills should the temperature dip. Inside Outside can even provide fully clear marquees, or clear roofed marquees – great for the earlier part of the year when the sun is high, but the temperatures remain low – be careful in the hotter months though, a clear marquee might look fabulous, but you could end up baking your guests in a gigantic greenhouse! A garden party can come in any shape or size, and so can a marquee. We love planning a good garden party so please feel free to pick our brains. The Inside Outside team offer free, no obligation quotes and site visits, and we know some wonderful event suppliers too. Please get in touch and we’ll be happy to talk through the details for your garden party. Interested in finding out more? Sign up for our fantastic e-newsletter here!